This is one of the most important parts of classroom management, and I’m dedicating quite a bit of space to the topic. Children behave in unpredictable ways, and it’s not always “bad behavior.” They’re not acting up because they dislike you or because they’re naughty. Some children are naturally louder or more spontaneous than others while some are more calculating and cunning, often flying under the radar until a classmate is in tears. It will be up to you to determine which behavior is tolerated in the lesson, and only experience can teach you to identify rebellious or distracting behavior. A certain level is unavoidable, and after a while you can get a feel for how much to tolerate and how to respond. Little kids can’t do the same activity for long periods of time. Sitting still will make them antsy, moving around will make them hyper, and any lull in the lesson will make them scatter. Games lose their fun eventually, and you should end it well before it gets boring but only after everyone has had at least one turn. If the children all seem to be wandering away, losing focus, or getting sick of whatever activities you’re doing with them, don’t start saying their names at them. Instead, engage their attention by abandoning the current activity and launching into a different activity. pull out your magic bag and rattle it enticingly saying, “What’s in the magic bag?” — they should all come running. The ones who were not goofing off can start first. looking at the goof offs like, “Well? Aren’t you singing?” Smileys for the singers. say “One, two, three, four, I declare a thumb war,” and then pair them up for a quick round of thumb wars. stand up and sing a lively song they know. get an umbrella or other prop and play pantomime theater. 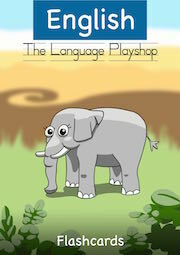 say the first commands of a response game like Park Stroll or Nanny Annie. put some chairs back to back in a row for musical chairs or fruit salad. announce to the room in a loud whisper that it’s time to read a story and hold up a few books for them to choose from. get out some chalk and start drawing the water for the sea monster game. lay flashcards in a row on the floor to signal the start of a quiet game. If there is one child who always gets bored, hyper, or wanders away, don’t change your lesson plan when the others are still focused and interested. There are ways to deal with Mr. Antsy Pants. Punishing children by sending them out of the room is not only sometimes impossible, but could lead to trouble if there is nobody out there to supervise him or her. If two are sent out of the room, they will set off together to pursue more interesting activities. Never shout at the children. This will only raise the overall volume in the room and mayhem or tears will ensue. The children will build up a tolerance to shouting and it will quickly become completely ineffective. Stress and chaos are to be avoided, and if you sound stressed, chaos will be the result. Oddly enough, if you start to get quieter, the loud ones will start to feel awkward about being so loud and they’ll look around to see what’s going on: “Am I getting a frowny in my envelope? 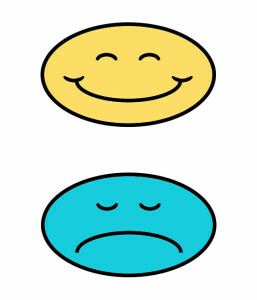 Am I missing out on smileys or a fun game?” Use this tactic to change the atmosphere. This should be common sense, but I’ll include it anyway: never physically contact a child when they are breaking a rule. You can take them out of harm’s way if they are going to fall or if they want to put something in an electrical outlet, but otherwise do not touch them. Do not pick them up, grab their wrists or ankles, hit them, or shake them. Don’t lead them anywhere by the ear, regardless of what you’ve seen on TV. Also, never insult a child; neither in their language nor yours. They will only sense your hostility, and rebel or shut you out. If you can’t control your frustration, do not work with children. A good way to motivate or discipline children is by using unpredictable rewards but consistent punishments. For example, if many of the children are goofing off or running around, and only two are sitting in the circle area, make a dramatic show of giving those two children smiley cards. They are likely to boast to the others that they’re getting rewarded, and the others should come running. The pack of smileys should have disappeared into your pocket by then, and you should show them your empty hands. If any children are still goofing off and haven’t noticed the smiley situation, or if any decide to run off after not getting one, then say in a serious voice “Oh, oh, oh, Sebastian gets a frowny,” and put a frowny in the envelopes of the offending children. Tell them to come back to the lesson and if they don’t respond, give the children who are now attentive a smiley and eventually another frowny to the goof-off(s). One time I got my cell phone out and called the chronically disruptive child’s father at work so he could hear for himself what his son was up to in the expensive English lesson. Problem solved. The boy turned a green shade of pale and came back to the circle when he heard his father’s voice on the other end of the line, and never acted up again in my lesson. This tactic is to be used sparingly if at all, and preferably after you’ve already spoken to the father and established permission to call him at work. Giving a frowny should be serious business. Sometimes I only start to say “Oh, oh, oh…” in a solemn kind of way and the kids scramble to stop goofing off. If they apologize before I get the frownys out of my pocket, they might have a chance, but if they start to goof off again, the frowny goes into the envelope without a warning. I simply say, “Sebastian gets a frowny,” and that’s that. If Sebastian starts to cry, I comfort him and then try to distract everyone by changing the activity, but if he starts to rip his envelope or knock things over, I show him another frowny and let him decide to stop before he gets another one. I say “Frowny or sit down?” If he sits down, no frowny, and we play the game or sing the song. If he continues to throw a tantrum, a frowny goes in the envelope and he gets ignored until he’s finished. Game. Song. Story. Distract. The rewards and punishments come at the end of the lesson when all the children count their smileys and get their stickers. The person with the most smileys gets a “WOW!” from me, and I say to everyone, “Four smileys! You get FOUR stickers!” and then to another “Two smileys! You get TWO stickers!” Smaller kids don’t notice that two is fewer than four, they just want the praise. They can stick the earned stickers in a row on their envelopes and compare numbers. Really little kids will want to put the stickers on their arms and clothes, and that’s fine, it’s their reward. The stickers are usually stars of the same size and color. Once in a while, there might be special stickers with Disney characters or animals, and then they can cut them out and take them home to stick on whatever they want. But if there’s a frowny, it “eats” one smiley from their envelope. It gobbles it right up and then there are fewer stickers. I’m generally quite dramatic about it, but I don’t make the child cry. He or she should feel remorse, but not humiliation or sadness. If there is a very sensitive child who got a frowny, just count the smileys and say, “minus one” and tell them the total number of stickers they can have, “Four smileys and one frowny…. you can have three stickers!” If there is a child who is a good sport or has an odd sense of humor, the frowny can loudly devour the smiley in an entertaining way. Don’t remind the kid about why he or she got the frowny; once the stickers have been put on the envelopes, the child can see for himself the consequence of losing points. Forget the incident completely, and never punish a kid for something he did the week before; that was ages ago, and double jeopardy is unfair. Collect all the smiley cards and envelopes after the kids have stuck on their stars, and bring them back to the next lesson. After a few months, when the envelopes are almost completely covered with stickers, or if there is a vacation coming up, surprise the kids by hiding a brand new sheet of animal stickers in each of their envelopes along with maybe some treats (if it’s a special occasion, and if nobody’s allergic) which they can then take home. You can also write them a “good job” note and something for their parents to read concerning the number of stars on their envelope (e.g., your child has a lot of stars, we should be very proud). Remember to bring fresh blank envelopes to the following lesson to begin the collection again. 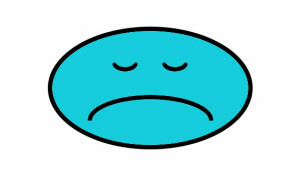 Print and cut out sheets of yellow/pink/orange smileys and gray/blue/brown frownys. There’s something about red frownys that I find really upsets the boys. It could be the association with soccer’s “red card” that makes them respond aggressively. Try not to be too provocative. 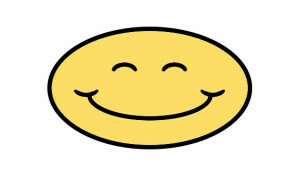 Make sure you have a big enough pack of smileys to reward the children a maximum of 10 smileys per lesson, and try to avoid giving many smileys to just one or two “good” kids. If one kid has six smileys and the rest only have two, consistently, they will start to resent you and the good one. 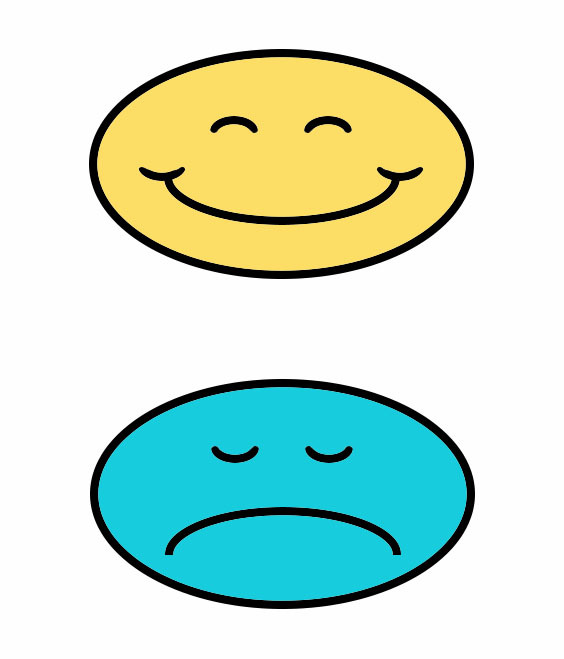 I try to give all the kids somewhere between three and five smileys each lesson. You run the risk of overspending your smileys when you reward too much. No more smileys in your pocket? No more leverage. Alternate the colors from week to week to avoid kids stealing and hoarding the smileys and then slipping extras into their envelope when they think you can’t see them. Distribute yellow smileys one week, and if a pink one shows up in an envelope, look at it, smell it, and hold it up to the light. It may be counterfeit. The guilty, fearful look will tell you that it was no accident. Count the smiley, award the sticker, and give a suspicious look, but let the incident slide. (It could have been your mistake, you disorganized teacher!) But if a counterfeit smiley shows up in Susie’s envelope again, don’t award the sticker. If there is a kid who is unaffected by frownys and doesn’t seem to be remorseful or interested in improving his or her behavior, speak to the parents about removing the child from the lessons. Be clear from the beginning that money will not be reimbursed, and set concrete targets with which to measure any improvements in behavior. A disruptive child is stealing opportunity from the others, and rebelliousness can be contagious. If possible, invite the parent to sit in on the lesson, or even better, film the lesson on your phone and let the parent and child watch it together. There will never be a perfect lesson or perfect students. Some groups will be more work than others, but if you consistently have nightmare lessons, maybe you should stick with teaching adults. Expulsion should be rare. Every lesson will have some drama. There’s a whole background story unfolding all day in the kindergarten or day care, and sometimes the most minor-seeming thing will set off a flood of emotions in the kids. Maybe Victoria has spent all morning telling Emily that her teddy bear is dead, so you’re shocked when Emily punches Victoria for picking the teddy bear card in a game. Let Emily know that such a response is unacceptable, regardless of whether Victoria deserved it. “I’m sorry” is an important vocabulary phrase, and be sure to treat Victoria’s injury. If you sense that one kid is unpopular and is being picked on, treat that kid no differently, but be quick to stop the bullies. More importantly, reprimand the onlookers for laughing and supporting the bully. Be careful not to lavish undue praise onto the victim; it will only draw more attention to him or her. Distract and diffuse. I generally give disappointed looks and express my disapproval when someone laughs or cheers at another child’s blunder, and even more so when a child laughs or cheers at a snide comment meant to hurt another’s feelings. It could be the worst-behaved child in the world, but he or she still deserves a learning environment in which they are safe from ridicule, especially in a language class where mistakes are extra embarrassing. If children start to hit each other or become openly hostile, I have a controversial solution: they have to stand nose to nose and chant “I love you, I love you, I love you” until they’re both laughing. However, if one is really hurt or crying buckets, I check the injury (which is usually nothing) and then make the other one apologize and get a frowny. I pretend to call a doctor from my cell phone who then instructs me to sprinkle fairy dust on the child, turn him around three times and make quacking noises at the injury until the crying stops. Get to know the children so you can respond appropriately to conflict. If there is a real injury, administer first aid, of course. Call the doctor for real if a child is not breathing, is bleeding more than a big band-aid amount, or is having an unexpected seizure, etc. Tell the other children to go inform the kindergarten staff; notify the parents as soon as possible. But this is common sense. Call me overly cautious, but if there’s a big spider or insect that has come in though an open window, I tell the kids to sit on a mat on the other side of the room while I quickly get a glass and some paper to capture the critter with. We use the chance to name it once it’s safely in the glass with the paper firmly over the opening, no matter how crawly and ugly it is. Then we all take it outside and let it go (alive) in the grass. We don’t squash it because I don’t want to clean up the guts and because some children are deeply affected by death and destruction. As a child, I lost heaps of respect for adults who smashed bugs that I thought were fascinating, and besides being traumatic, it can also lead to phobias. So I call it a “he” or a “she” and as we make our way outside I ask how many brothers and sisters the bug has. A thousand? Some children opt to stay in the classroom, and that’s fine. Once we’re back inside, we sing a round of The Itsy Bitsy Spider before we move on.